For the past 20 years, family reunification has been one of the main reasons for immigration into the EU. It is an entry channel enabling those who already reside legally in a Member State (referred to as sponsors) to be joined by their family members. Family reunification helps to create socio-cultural stability, facilitating the integration of third-country nationals residing in EU Member States, thus promoting economic and social cohesion – a fundamental EU objective. How to bring my non-EU family to Bulgaria? Considering family reunification in Bulgaria, the law distinguishes two regimes – general and special. The general regime applies to non-EU citizens who reside legally in Bulgaria holding temporary or permanent residence. The special regime applies to EU citizens who hold a Bulgarian ID card. The main difference between the two regimes is that under the special regime, the family members are not required to apply for a long-term Family D Visa (opposed to the general regime). The general regime is applicable in respect to Bulgarian citizens who would like to bring non-EU family members to Bulgaria. Non-EU dependents of EU citizens are not required to apply for Family D visa in order to obtain Bulgarian residence (opposed to the general regime). The non-EU spouse or cohabiting partner can enter Bulgaria on Bulgarian short-stay C visa or Schengen visa and apply for Bulgarian residence straight away. Bulgaria recognizes the cohabiting status of partnership. You are not required to be married to apply for family reunification in Bulgaria. You are considered spouses, as long as you declare that you are a couple. No need to present a valid marriage certificate and CBR check (opposed to the general regime). EU citizens who hold a certificate for long-term residence and Bulgarian ID card for EU nationals may apply for family reunification in Bulgaria for their non-EU family members. Children who are not over 18 years’ old. Non-EU citizens who would like to bring a non-EU family member to Bulgaria have to apply under the general reunification procedure. This procedure requires the general applicant who resides in Bulgaria to submit a reunification application to the local Migration Office. 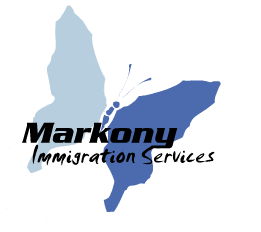 The Migration Office approves the reunification application within 1 month. Thereafter, the spouse can apply for a Family D visa in the nearest Bulgarian embassy or consulate. legalized birth certificate (for children). Non-EU citizens who hold a temporary or permanent residence permit in Bulgaria. Our fee to assist you with family reunification in Bulgaria is only 500 €. For more details, please do not hesitate to contact us.